This post is a little late since I usually do it on Sunday, but Philadelphia kept me busy! Overall – Not bad for a busy week! 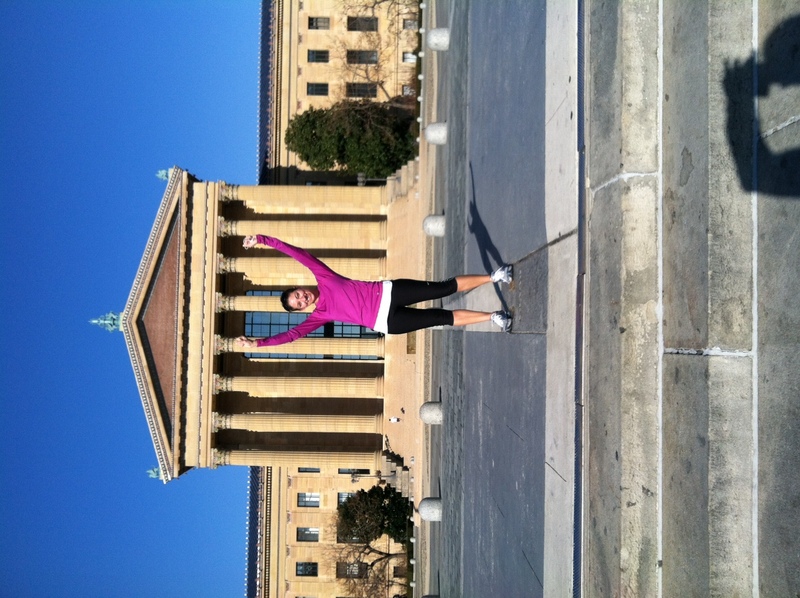 My New Year’s day run in Philadelphia was great! I ran up the Rocky steps and down along the river, the change of scenery was nice. I’ve also found using my new FitBit really interesting, I’ll write a separate post on it soon, but knowing how much I walk during my long work days I don’t feel as bad not running or working out! Marathon! – I leave for Florida Friday morning! Time to focus on nutrition, hydrating, packing, stretching, etc. Love the way you implemented workouts into your daily routine this busy week to ensure that you kept training. Have a blast! Thanks Tam! I should have included “Try Zumba” in my 2012 goals, when I get back from Florida Melissa and I totally need to come to one of your classes! Hey Danielle, how will you go from place to place at the wow marathon? Where are you staying there? I downloaded the info off their website to learn more about it. Then i had a dream that I was in it. I hope to do a half marathon there. Hi Pam, I’ll be staying on property at Saratoga Springs so I’ll be able to take the WDW Transportation around the parks for the weekend. For marathon weekend they provide transportation to the starting line area and expo from all of the Disney properties, but for some of the smaller races there are “host” properties that are the only ones race transportation runs from, so make sure to see where those are if you’re going to do one of the races! You sound excited about possibly doing one of the Disney races! Let me know if you end up registering for one or if you have any more questions! I am considering the new 10 miler they just announced for September or the wine and dine. We have fcc points so I would like to use those if we go. I would like to know which you prefer more, the night race at 10 pm or the early morning marathon start. Can’t wait to hear all about it! I’m going to guess and say I prefer the night run, I totally don’t do mornings! I’ll let you know though!